Bears don’t always show up under perfect lighting conditions. 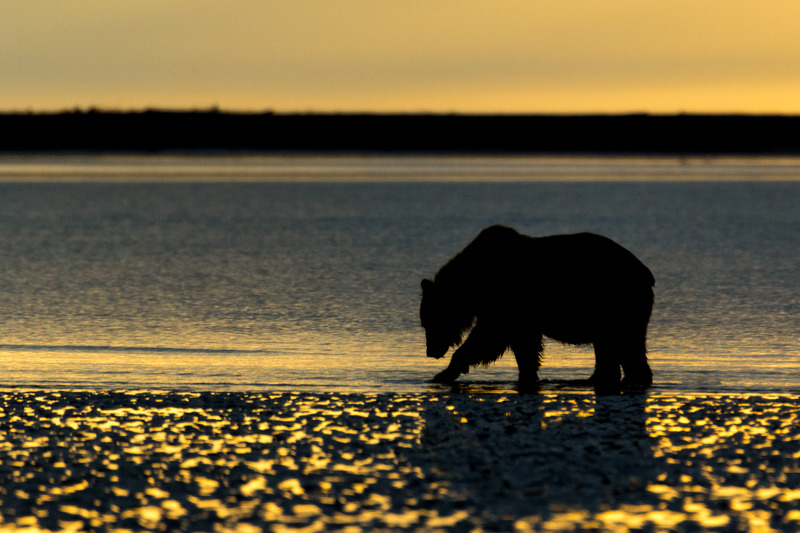 This grizzly sow was out foraging for clams just as the sun was rising…behind her! Since she was walking right on the edge of the water, there was no way to circle around to the other side of her to get the pretty golden morning light softly illuminating her orange-brown fur. One solution was to turn her into a silhouette. Her pronounced shoulder hump tells you this bear’s a grizzly. And the simplicity of the image gives it a serene quality. If I had to pick my absolute favorite time of day for landscape photography, it would be that narrow window between day and night when long exposures are possible but there’s still enough ambient light to walk around without risking life and limb. And my favorite place to shoot during that window is at the seashore. 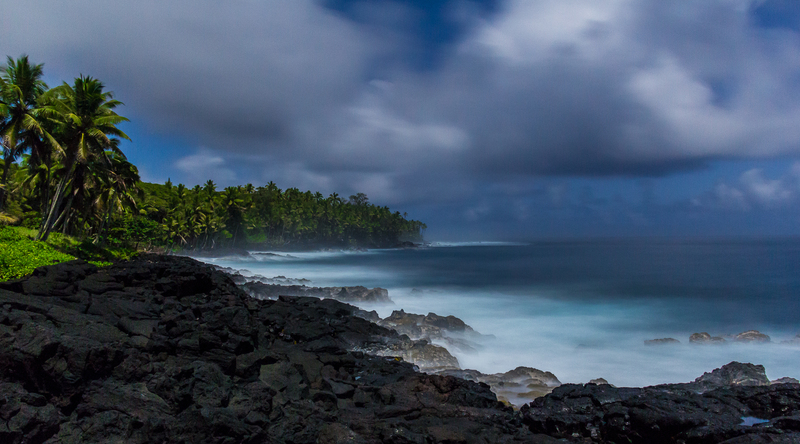 I’ll be posting a series of late evening and early morning shots over the next few days. I hope you enjoy them. The convergence of water and land can range from calm and peaceful to destructive and even deadly. 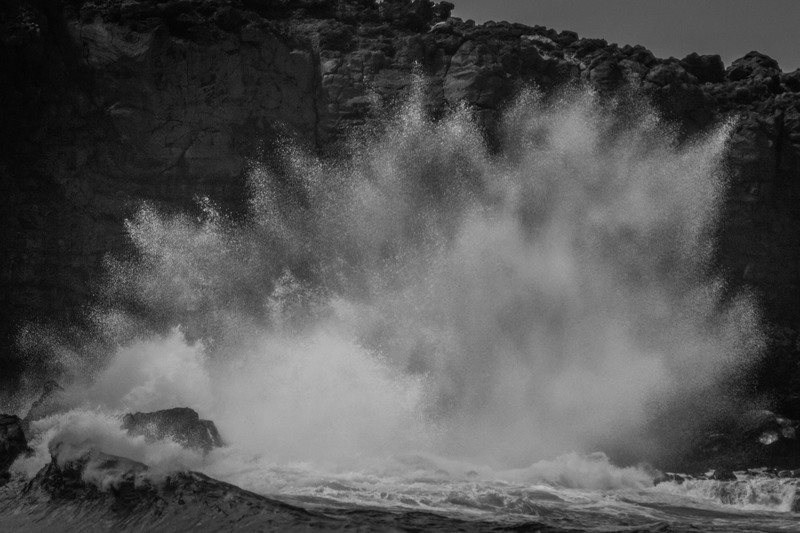 This is “just” a wave hitting a rock, but the way the wave exploded into thousands of smaller droplets ricocheting in all directions was nothing short of amazing. A shutter speed of 1/2000th of a second barely freezes the flying water!